Drivers might be paying £8 more to fill up their cars than they did a year ago, but the cost looks likely to increase even more with a hike in fuel duty being suggested by the Government. Phillip Hammond has hinted that fuel duty might rise in the November Budget, with the Chancellor facing a struggle to fund the NHS amid Brexit upheaval. Duty on petrol and diesel has been frozen at a rate of 57.95p-per-litre for the past seven years, despite several proposed increases. "By April 2019 these freezes will have saved the average car driver £850 compared to the pre-2010 escalator and the average van driver over £2100," Hammond told MPs. However, it's estimated to have cost the Treasury £46 billion since 2011 and the Government is looking for new funding opportunities to fund essential services. "The Treasury has been benefiting from the additional VAT drivers are having to pay as a result of higher fuel prices"
"A further £38 billion will be foregone over the budget forecast period as a result of these reviously announced freezes. For context this is about twice as much as we spend on all NHS nurses and doctors each year," added Hammond. Lifting the fuel duty freeze would raise an extra £800 million for the Treasury, some of which would fund the additional £20 billion on the NHS by 2023, but concerns over the rising cost of living were brought up by Tory former minister Robert Halfon, a long-standing campaigner for fuel duty curbs. Halfon brought up a Treasury study in 2014, which proposed freezing fuel duty benefits the economy to offset almost all the loss of tax to the economy and it said that GDP increased by £4.5 to £7.5 billion over the forthcoming years. It currently costs £71.50 to fill up an average 55-litre family car - like a Ford Focus - with petrol, and £73.70 for a similarly-sized diesel car. The pound also remains comparatively weak against the US dollar, which reduces the buying power of UK fuel retailers. With fuel costing them more to buy in, this invariably means higher prices are passed on to drivers at the pumps. 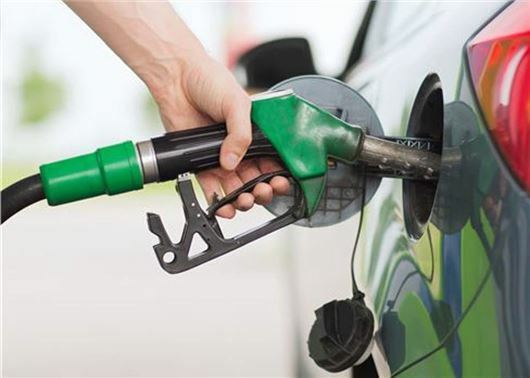 Aside from the fact that petrol and diesel in the UK are subject to some of the highest levels of taxation anywhere in Europe, fuels are also at their highest prices in four years. "We'd argue that this is not the time to be considering a fuel duty rise, said RAC's Head of Roads Policy Nicholas Lyes. “It is also important to note that the Treasury has been benefiting from the additional VAT drivers are having to pay as a result of higher fuel prices". It's important to know which cars actually reach their claimed fuel economy, that's why we made Real MPG. There is no need to do this;I have over the last 2 years been visiting people in hospitals and all the staff say there is massive waste which no one is dealing with,to many fat cat managers,but why dont they do what has been promised for many years,get rid of the quangos,there just jobs for the boys it costs about 50 billion to run these things if you cut half there you are,25 billion but dont hold your breath its easier to tax the working man. I Thought that nhs is paid for through national insurance on paye contributions and roads paid through car tax so putting cost on petrol effects those that are on low incomes and lets the rich take over being able to afford to drive only like in the early years on motoring. That has not been the case for decades, if ever! The waters are far more muddy than that. Why can’t we be honest in the way we fund public services? Increase National Insurance contributions for NHS, Income Tax for Defence etc., that way the richest (apart from Amazon) pay the most. It is always the motorist regardless of income! It's appalling that with such high fuel prices the Government should even discuss raising the exhorbitant duty even more. It looks like an easy hit, but costs workers, families and employers dear with increased costs. The NHS should be funded from income tax and NI. What’s easiest? Oh yes drivers. Typical government approach, money can be saved a multitude of ways but that would be too much like hard work, it’s easier to tax car owners, what about the extra they have received from changing the car tax bands and no longer tax going with the car? I would not trust a politician as far as I could kick them. Yeah, that's a great plan. With the NHS being the largest employer in the country a lot of the increase will hit the very staff the extra cash is supposed to help. As has already been said if I can buy a pill for pennies in my local supermarket why does the NHS pay pounds for it? Also £38Bn seems to be the 'in' amount these days. Isn't it the same amount a remain chancellor and Prime minister are planning to pay the EU for the exit of their sinking ship. As we'll only be on the hook for it once we will then have the extra mone in the following years, so what's the problem? Nothing yet we are still in the european club for 6 more months, by the way that 350,000 on the bus should have had our reciepts from the EU deducted from that figure to give a true amount. NHS seems to be the excuse for everything at the moment. How they can spend so much money and still keep my daughter waiting over 6 months for a gastro-intestinal referral beggars belief. The government seems to think NHS can be said to cover up their incompetence in every field. Meanwhile our educational system is failing due to lack of investment, and we can't afford enough police to keep the country safe for the honest people who work each day. NHS funding should be by NI Contributions, why do those earning above about £43K only pay 2% NI instead of the full 12%, all earnings aboul be charged at 12% but that won't be considered as it means the rich would have to pay, it's always the same rob those at the lower end as they can't fight back the same. Increasing fuel duty will hit the lower paid in rural areas who can only get to work by car, maybe they should all start claiming benefits as they could be better off, the rich don't notice a few quid extra on a tank of fuel, governments always protect their own rich lot never mind which party is in power as they all end up well healed out of our cash. Its time for the British Public to wake up to the countries mismanagement by our political Elites, Banks and Corporate entities. Fuel Tax in all forms is far too high, the constant change in rules and legislation is costing everyone more than is acceptable. When will we see a government that protects British companies by not allowing the assets to be sold abroad and loose the Tax revenue from them? We the sheepeole are allowing this to happen. Without question the NHS funding needs to change to provide the extra cash needed to fund all the current factors not thought of in the 1940s like research, better medecine, living longer,21st century equipment and standards,better treatment of heart and cancer ailments and more. I thought there might be an increase on fuel tax because in the last 6 months those clever oil companies have raised fuel prices agreeing with the suppliers to restrict the volume of oil for sale.So they are one step in front of Government who will get all the blame for higher prices,unfairly. This is just Philip Hammond doing his best to ensure that his extremely pessimistic view on the effect of Brexit on the UK Economy becomes true.